Known for its pristine beaches and as a gateway to the wonders of the Abel Tasman National Park, Kaiteriteri has been attracting holiday makers to its turquoise waters since the 1920's. As a result, a popular tourism industry grew within the town; and today visitors can experience Kaiteriteri via a number of different craft from canoes to hang gliders to mountain bikes.​​There are few places in New Zealand that rival the small town Kaiteriteri as a better sea-side escape. Located on Tasman Bay and set close to Abel Tasman National Park, about an hour's travel from Nelson in the area colloquially called the South Island Riviera, Kaiteriteri has been many times voted as one of New Zealand's best beach regions and is the perfect stop-over point for sun seekers with a sense of adventure. If you love camping, Kaiteriteri is one of the few towns in New Zealand that lives and breathes the outdoor lifestyle. In fact, the Kaiteriteri Recreation Reserve, in the heart of the settlement is, in many ways, one big public camp ground. Since the foundation of the Reserve in 1936, travelers from all over have set up camp right next to the beach and worked on their tan. The communal feel of like-minded people during peak seasons is another reason why so many New Zealanders make a trip to Kaiteriteri an annual event. Kaiteriteri is the perfect introduction to the wild delights of New Zealand's South Island. 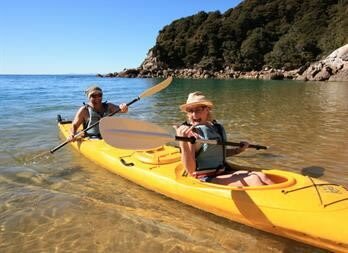 Begin your adventure with an Under the Radar tour, hiring a half-day or full-day kayak rental from Kahu Kayaks out to Split Apple Rock, just 50 meters off of Kaiteriteri's coast. Split Apple Rock is a huge granite boulder that looks like it was split in half by a giant. Indeed, for hundreds of years, the strange formation of Split Apple Rock has conjured up a number of mythological interpretations to its origins, including the story of Zeus and Poseidon splitting the rock during a duel over Dione. However, the geological explanation for the phenomenon is that water seeped into a crack and then froze, breaking the boulder apart. After snapping a memorable picture at the Rock continue along the golden bays nearby Kaiteriteri in your kayak. Keep a keen eye out for the local marine wildlife such as dolphins, penguins and whales; or take a dip with a local colony of seals. Their curious nature means they will often swim right up to you. For the sun lovers, roll out a towel and work on your tan at Kaiteriteri beach. Voted by CNN.com as one of New Zealand's top 10 best beaches, the clear azure waters and soft golden sand makes it the perfect place to read a book and relax. Enjoy some of New Zealand's freshest seafood at the local kiosks or splash about in the calm waters. 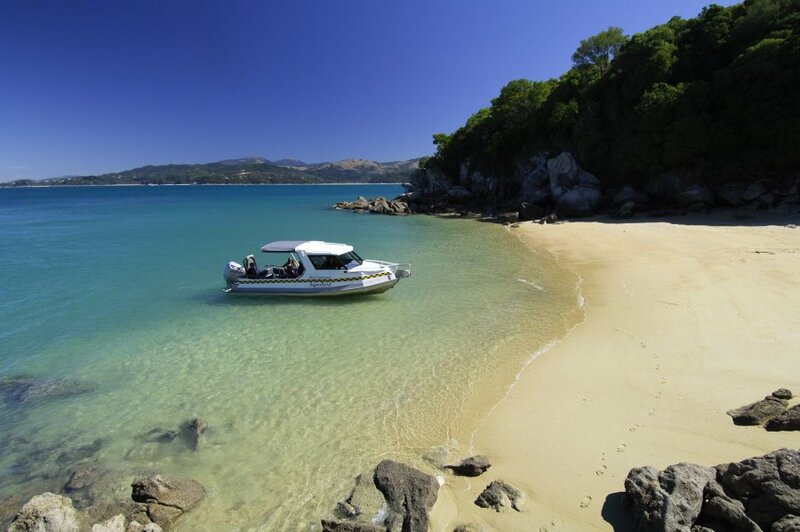 For those more into tramping the trails, catch a cab with Abel Tasman Water Taxi out to one of the bays in the Abel Tasman National Park and stroll through the sub-tropical New Zealand rainforest. "Withalls Track" is an easy and popular trail that begins from the Kaiteriteri Beach Motor Camp. Moreover, the "Kaiteriteri Walk" has a great panoramic view overlooking Kaiteriteri Beach. Two-wheel enthusiasts should take on the challenging trails at the Kaiteriteri Mountain Bike Park, which crisscross through the 180ha conservation land of the Kaiteriteri Recreational Reserve. While in Motueka, spend the afternoon exploring the many local limestone cave networks, such as Harwood Hole, New Zealand's deepest vertical shaft at an epic 183 metre deep. 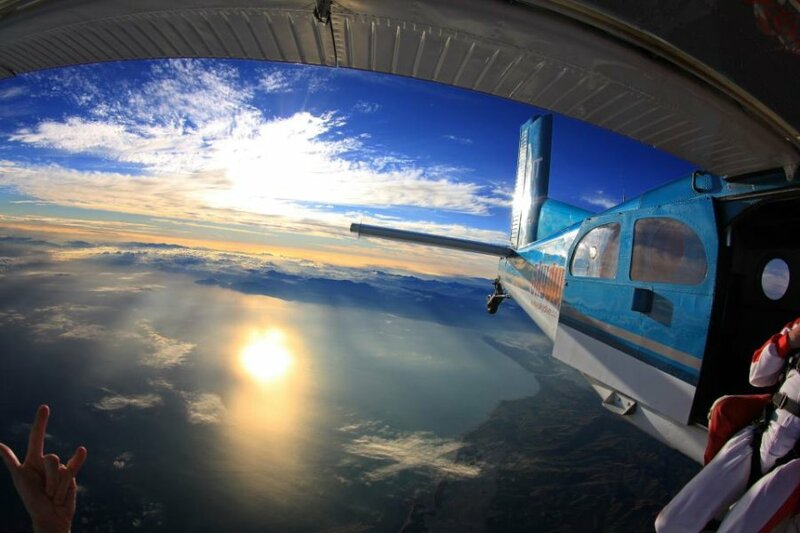 Or for thrill-seekers, try a 16,500ft skydive with Skydive Abel Tasman – the ultimate adrenaline rush. Kaiteriteri has a wide range of accommodation options for your stay. 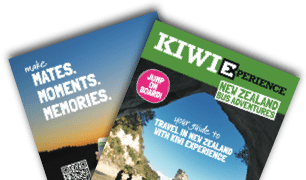 All Kiwi Experience buses pick-up and drop-off passengers at the Kaiteri Lodge. Kaiteri Lodge: Situated right across from Kaiteriteri Beach, the Lodge is a great place to rest your head. Facilities include an outdoor BBQ area, min golf, laundry and kitchen facilities plus a wood fired pizza restaurant and bar. Bunk lodgings begin from $30NZD per person per night, while double rooms with en suite start from $80NZD. 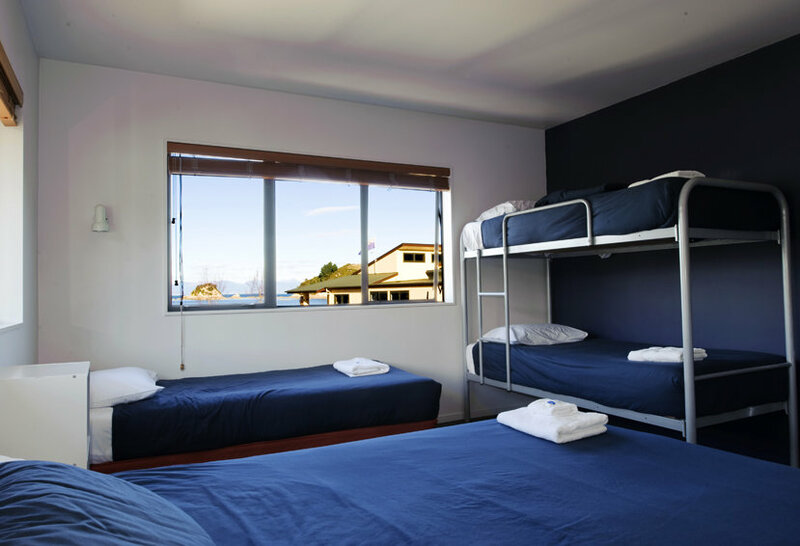 Remember that with Kiwi Experience, your first night's accommodation is guaranteed in Kaiteriteri.